The California Senate considered a bill on Wednesday that would close a big loophole in the state's civil asset forfeiture laws that currently permits state and local law enforcement to use federal statutes to go after property believed to be connected to illicit activity. A rarity in the states, California provides innocent property owners with some essential protections against abuse of civil asset forfeiture by overzealous law enforcement. In the Golden State, the burden of proof falls on the government, which must present "clear and convincing evidence" that seized property is connected to a crime -- a standard that is just below the proof needed to secure a criminal conviction. Real property, such as a home, cannot be forfeited without a criminal conviction. To get around California's more restrictive civil asset forfeiture laws, state and local law enforcement can coordinate with federal agencies to seize property under federal statutes. State and local law enforcement send seized property to the federal government for "adoption" and forfeiture proceedings then occur under the less restrictive federal law. The federal government then returns up to 80 percent of the proceeds from forfeitures back to California through the Justice Department's Equitable Sharing Program. Federal civil asset forfeiture laws are terrible. The presumption of innocence is thrown out the window. In an inversion of justice, seized property is presumed guilty even if the property owner is never charged with a crime. Many innocent property owners walk away from their property rather than fight a long and costly legal battle in federal court. State and local law enforcement in California have heavily relied on the Justice Department's Equitable Sharing Program. From 2009 to 2013, the Justice Department made $384 million in equitable sharing payments to state and local law enforcement in California. In contrast, over the same period, state forfeitures totaled just under $116 million. 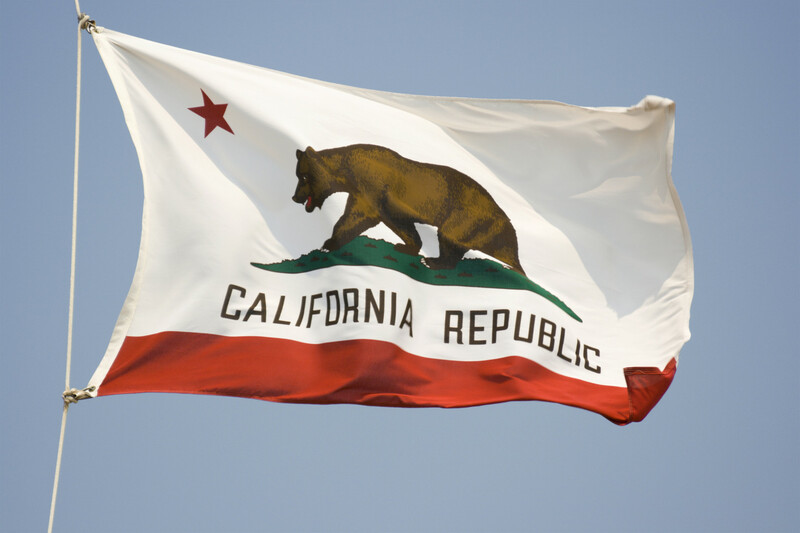 In 2012 alone, California took in nearly 20 percent of all federal equitable sharing payments. A recent Drug Policy Alliance study detailed how several local law enforcement agencies in Southern California used federal equitable sharing payments to supplant their budgets, which is prohibited by the Justice Department. But because of a lack of oversight from federal officials, these local law enforcement agencies are not held accountable. State Sen. Holly Mitchell (D-Los Angeles) has introduced legislation, SB 443, to close the troubling loophole in state law. According to Reason, Mitchell, in an April teleconference, explained that her bill seeks to ensure that state and local law enforcement are operating within the spirit of California law. "The problem is a dysfunctional system and inconsistent laws that create loopholes," she said. Federal agencies may still pursue forfeitures through federal law, though state and local law enforcement can only receive proceeds if a criminal conviction is obtained. In addition to closing this loophole, SB 443 requires a criminal conviction before cash and property worth more than $25,000 can be forfeited to the state. Under current California law, state and local law enforcement receive 65 percent of the proceeds from forfeitures. SB 443, however, would lower the percentage the seizing agency receives to 54 percent, requiring that a portion of the funds go to programs to fight drug abuse and gang activity, and directs some proceeds to state's general fund, public defenders offices, and various educational programs. The Orange County Register editorial board, which tends to have a strong libertarian slant, has urged California lawmakers to reform the state's civil asset forfeiture laws. The editorial board also urged Congress to pass the Fifth Amendment Integrity Restoration (FAIR) Act sponsored by Sen. Rand Paul (R-Ky.), which FreedomWorks supports. With states like New Mexico and Montana passing substantive legislation to protect innocent property owners, California, through SB 443, may soon continue the momentum. The bill easily passed the state Senate on Wednesday by a vote of 38 to 1 and now heads to the state House. This post was updated on Thursday, June 4 at 9am to reflect passage of SB 443 out of the state Senate. On behalf of our activist community, I urge you to contact your representative and ask him or her to cosponsor the Fifth Amendment Integrity Restoration (FAIR) Act, H.R. 1895. Introduced by Rep. Tim Walberg (R-Mich.) and Jamie Raskin (D-Md. ), the FAIR Act would reform federal civil asset forfeiture laws to increase the evidentiary standard needed to subject property to permanent seizure and restore the presumption of innocence in federal civil forfeiture proceedings. On behalf of FreedomWorks’ activist community, I urge you to contact your representative and ask him or her to cosponsor Private Property Protection Act, H.R. 738. Introduced by Rep. Jim Sensenbrenner (R-Wis.), the Private Property Rights Protection Act would put strict limitations on the federal, state and local governments from exercising the power of eminent domain for economic development purposes. 1) Video of the Week: In this video, American political scientist, Charles Murray, explains how deeply entrenched regulatory state tyranny is in our legal system, and how everyday Americans can fight back. Republicans on the House Ways and Means Committee want to know why the Department of Justice (DOJ) has denied petitions by Americans whose money was seized by the Internal Revenue Service (IRS). The seized money was subject to federal civil asset forfeiture hearings in which the individual from whom the money was taken had to prove that it wasn’t connected to any wrongdoing. The Consolidated Appropriations Act, H.R. 1625, is packed full of legislative priorities for leadership and other items to get enough votes for passage. Most of what was negotiated and slipped into the Consolidated Appropriations Act, known as the “omnibus,” behind closed doors is bad for taxpayers or just bad policy. Unfortunately, amendments that were previously passed by the House to prevent the Department of Justice from ramping up its use of civil asset forfeiture were not included in the bill. The House of Representatives will consider the Make America Secure and Prosperous Appropriations Act, H.R. 3354. The bill consolidates the eight remaining appropriations measures for FY 2018, including Commerce, Justice, and Science (CJS) and Transportation and Housing and Urban Development (T-HUD). The House has already passed one consolidated appropriations bill, H.R. 3219, which authorized spending for the Department of Defense, the legislative branch, the military and veterans affairs, and energy and water.